Binance has officially announced that it will delist Bitcoin SV from its list of supported tokens. The cryptocurrency exchange has given traders a one-week grace period to adjust to its decision. At Binance, we periodically review each digital asset we list to ensure that it continues to meet the high level of standard we expect. When a coin or token no longer meets this standard, or the industry changes, we conduct a more in-depth review and potentially delist it. We believe this best protects all of our users. This decision comes only a few days after Binance CEO, Changpeng Zhao threatened that the platform would delist BSV following the actions of Craig Wright – one of the major proponent of the altcoin. According to data from BitMEX Research, Bitcoin SV miners have incurred a gross loss of more than $2 million since the November 2018 hard fork. In a tweet published on Friday (April 12, 2019), BitMEX Research said the figure represented a loss margin of 12 percent. BitMEX Research, explained, however, that its analysis only took into consideration mining revenue vis-à-vis the estimated cost of electricity for mining operations. Additional data published by BitMEX shows that Bitcoin Cash (BCH) has mined more coins than BSV since the split. Back in November 2018, disagreements in the Bitcoin Cash developer community caused a hard fork, which led the BCH chain to split into two different coins. The November hash war turned out to be bitterly contested by both parties with entities on both sides adopting kamikaze-esque tactics, which ultimately led to significant losses on both sides. Data from BitMEX Research from November 19, 2018, shows BSV miners incurring a total loss of $1.4 million, a negative gross margin of over 350 percent. Many commentators also believe that the BCH civil war caused the mid-November 2018 crash that saw bitcoin price (BTC) to fall from $6,000 to $3,100. I normally don't like get involved in debates, pick sides, etc. But this is going too far. I also didn't like the fact that the fork caused BTC to drop below $6k, which caused pain to many in the industry. It is no secret that BCH has fared better than BSV since the end of the hash war. This fact, however, isn’t saying much given that companies like Bitmain have incurred massive losses betting on Bitcoin Cash. BSV has been on a downward spiral for most of the year despite the recent uptick in cryptocurrency prices. Before the April surge in the cryptocurrency market, BSV was down almost 27 percent since the start of the year. The Bitcoin price 00 surge of early April seemed to breathe new life into BSV, though this was short-lived. 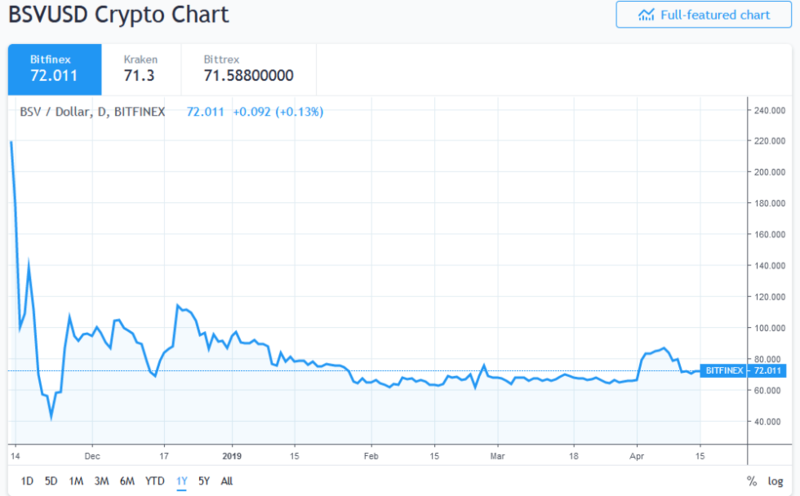 After gaining 40 percent between April 1 and April 3, 2019, to reach $92, BSV has seen a significant pullback of more than 22 percent. This downward price action has coincided with calls for exchange platforms to delist BSV. Many cryptocurrency users say the move is necessary to punish the perceived bullying by Calvin Ayre and attempts to ‘doxx’ a prominent Bitcoin user by the name of hodlonaut. Now that Binance has followed through on its threat to delist BSV, all eyes will be on the price chart to see what happens next. Will BSV crash now that Binance has delisted the altcoin? Share your thoughts with us in the comments below. 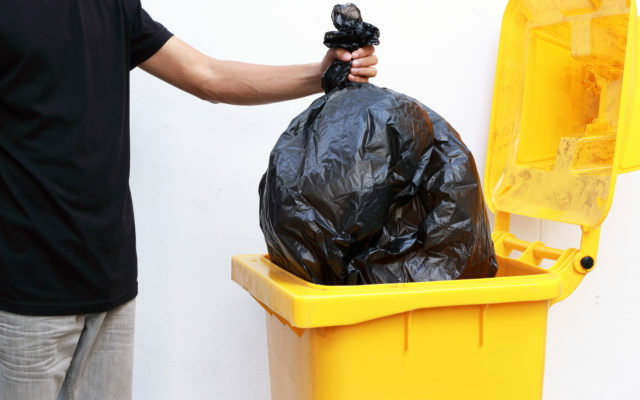 The post Binance Officially Delists Bitcoin SV (BSV) In an Unprecedented Move appeared first on Bitcoinist.com.